New research into teenage inactivity has shown that young people are more likely to engage in exercise that is fun and can be done with friends. One in four people in the UK die because of cardiovascular disease and progress has slowed in preventing heart attacks and stroke, which has been linked with a decline in physical activity levels. The findings, from the ACTIVE Project, are part of a report that highlights the contributing factors to teenage inactivity. Higher numbers of teenagers took part in activities that are targeted at both genders. During the study attitudes changed towards seeing activity as being something fun, sociable and, a positive experience. Teenagers who wanted to be active were able to ‘pull’ along less active friends. 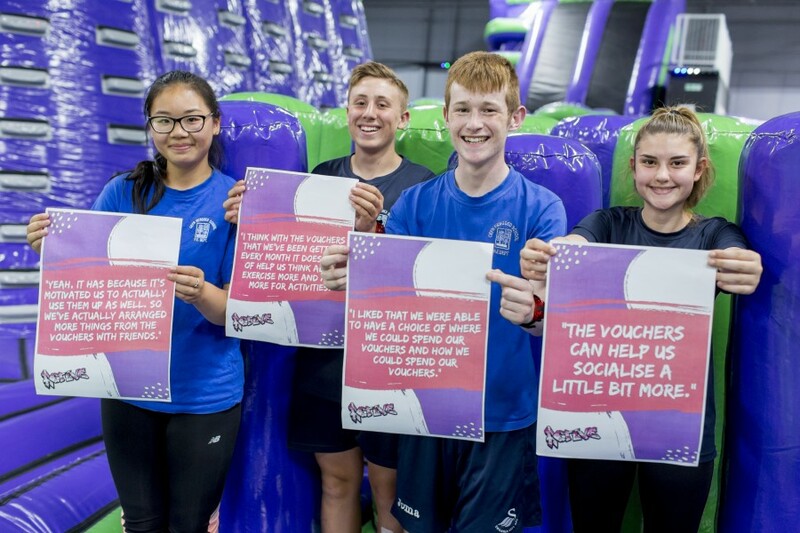 There is evidence that the group of teenagers who took part in the voucher scheme can change community attitudes to activity. Teenagers were highly self- motivated, and were not affected by external pressures such as feeling guilty or exercising because other people told them to. As a result of using the vouchers there was an increase in the number of girls classed as ‘fit’. Some barriers still existed that the study did not overcome. Transport to activities was a barrier for many young people in deprived areas, and many found that a lack of time because of academic pressures was also a barrier. Adam Fletcher, Head of British Heart Foundation (BHF) Cymru added: “Levels of physical inactivity and sedentary behaviour amongst young people in Wales remain stubbornly high, and increasing participation in physical activity is essential for improving health and preventing future cardiovascular disease.